In this blog post, I am discussing these enhancements. Even if you added all drillthrough fields you were interested in, you were limited by the fact that all those fields must have been contained in the visual from which you performed drill through. 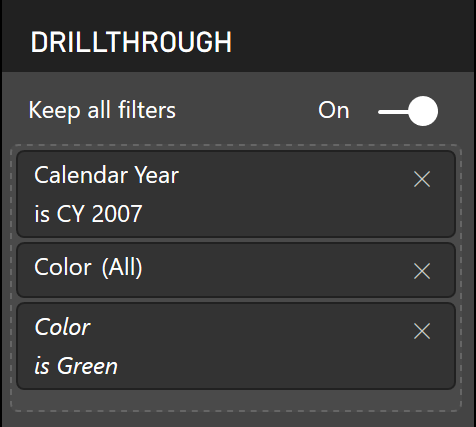 For example, if you had a bar chart showing Sales Amount by Calendar Year and a slicer on Color, only Calendar Year would be passed as drillthrough filter if you performed drillthrough. Not anymore — you can now use the Keep all filters toggle. 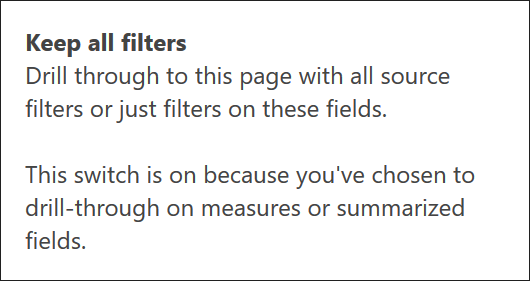 This will pass all surrounding filters, including slicers and page level filters, to your drillthrough page. This toggle needs to be switched to On on the page to which you go after drillthrough (the “detail” page). As before, you need to have a common field in the visual from which you perform drillthrough and in the Drillthough section of the page to which you drill through. Placing such a field in tooltips does not do the trick, as far as I could see. 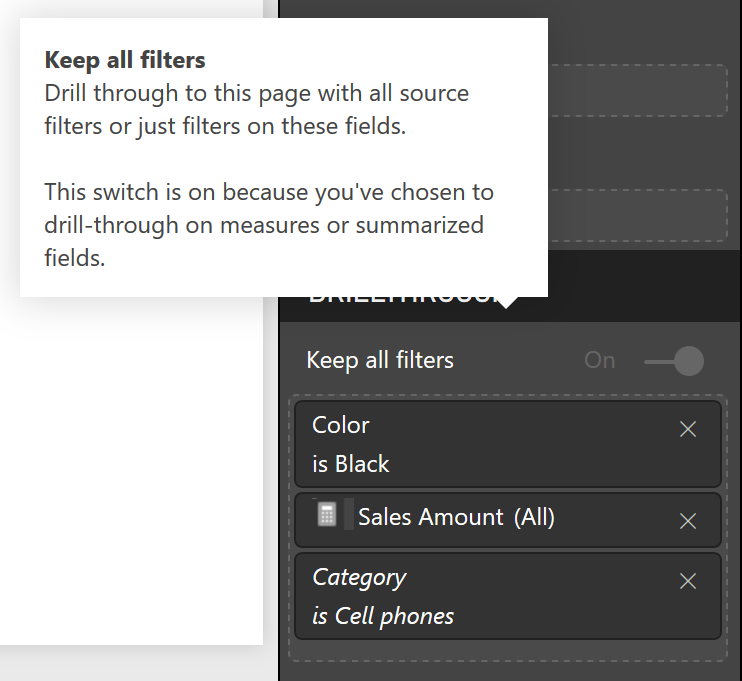 Note how you don’t need to put all the necessary fields in the Drillthrough section — you need at least one though. This can be either a categorical field (such as Color), or a numerical field (such as Quantity). In case of numerical fields, you can use measures as well, covered in the next section. Previously it was not possible to perform drillthrough from a measure, irrespective of the fields by which you slicer the measire. As far as I understand, this feature has nothing to do with the Detail Rows Expression found in Analysis Services. This feature is already available in Power BI service and is coming to Power BI Desktop next week. 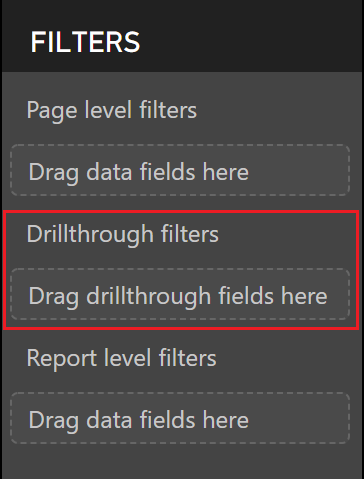 If you wish drillthrough could sync across pages in Power BI, consider voting for Dmitry Solovyev’s idea.